Our customer service makes a point of honor to satisfy you to the maximum! You have a Questions, suggestions or just want to say hello ? Do not hesitate to contact us. Whether you live in Europe or in another continent, Baghera will deliver to almost every country in the world! For more information, go here. Delivery times vary depending on your country and the chosen delivery method. For more information, please consult the page "Delivery and returns": here. We send you an email as soon as your package has been dispatched. It contains a link for you to track the delivery of your package on the website of the selected carrier. You can also, at any time, track the delivery of your current order in your space "My account", via the "Order History" page. Simply click on this page to access the details of your last order. Your package tracking number as well as the link to the carrier's website will be specified. How do I know if your product is suitable for my child? The recommended age for using the toy as well as the product's dimensions and weight are specified on the product information sheet. The majority of our ride-ons are designed for children aged between 1 and 3 and our pedal cars are for children aged between 3 and 6. The recommended maximum weight for use of a ride-on is 20kg (44lb). 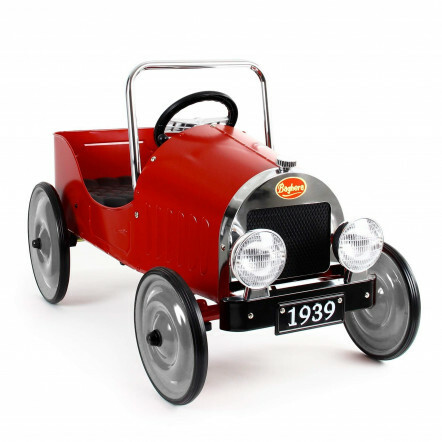 The recommended maximum weight for use of a pedal car is 25kg (55lb). 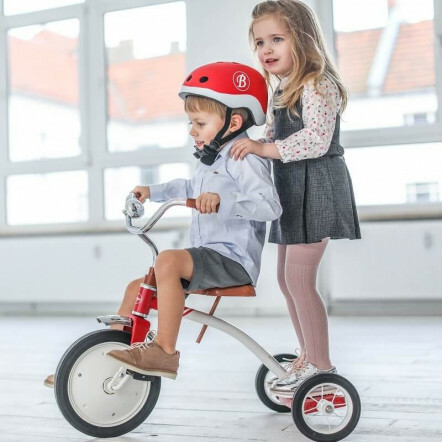 Our pedal cars also have adjustable pedals in three positions so you can adjust the seating position to the growth of your child. We offer a large number of spare parts on our online shop on the "Spare Parts" page. If you cannot find the part you are looking for, please contact us by telephone, from Monday to Friday on +33 (0)1 30 46 93 10 from 9am to 12.30pm and from 2pm to 5pm or via our contact form.